An interesting trend in gaming has returned from its slumber: unapologetic, punishing difficulty. Ideas such as infrequent save points, unexplained boss/gameplay mechanics, and steep skill-checks used be fairly common (think NES/SNES days), but the concept of “difficulty settings” became mainstream shortly after. Games became easier and more accessible. No longer is this the case. Pure, controller-smashing difficulty is making a comeback, and I’m surprisingly enjoying it. The Dark Souls trilogy is perhaps the most recognized installment in what is now a quickly growing/returning genre of games that advertises difficulty and lack of direction as features (there is, of course, much more that makes those games great as well). 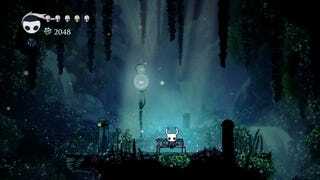 I’ve recently been playing through a similarly structured platformer: Hollow Knight. The experience has been intense, stressful, frustrating, beautiful, and extremely gratifying, and it serves as a great case study for why difficult games are becoming popular again. 2. Players are faced with repeated failure… and an opportunity to grow and overcome. Success that is earned, rather than easily given, always feels more meaningful. 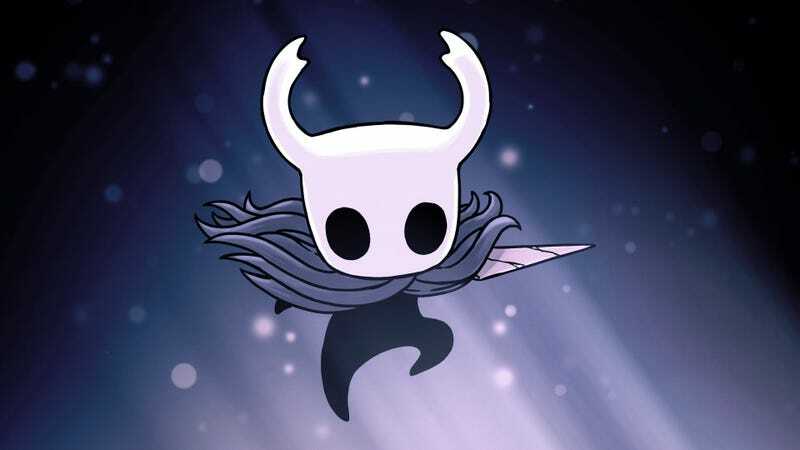 To progress further in Hollow Knight, I’ve had to truly master new and old game mechanics; learn to read, predict, and instantly react to enemy movements; and die over and over again in the process. I’ve gone through numerous periods of feeling defeated, frustrated, and confused. You return to a bench when you die. I’ve spent a lot of time here. There were even times when I had to walk away from the game for a day or two before coming back to tackle the next challenge. An incredible thing happens when you stick with a game like this, though — you actually see and feel yourself getting better. Areas of the world that were once tricky are now easy - not because I’m overpowered via in-game items, but because my own skill at platforming movement and combat has legitimately improved. Beginning phases of boss fights go from punishing to achievable, then become routine, allowing me to focus on improving my strategy for the next phase of the boss fight. Traits like dedication and perseverance are both required and rewarded with games like this. And when you finally reach the top of the mountain, well…. 3. Players experience incredible “highs” to match the crushing “lows.” I’ve played and finished a lot of video games in my lifetime, but this type of game is something else. The type of rush that comes with beating an extremely difficult part of a punishing (yet somehow fair) game after more attempts than you care to admit… it’s unlike any of the other experiences I’ve had in video games. Sure, I’ve significantly enjoyed all kinds of different games, but those “highs” are different, because the experience itself is different. The other night, I spent a long time bashing my head against the “Lost Kin” fight in Hollow Knight. I learned all the boss’s moves, honed my dodging and striking strategies, mixed up my badge loadout several times… and still felt like I was getting nowhere. I even had to stop myself to take a few deep breaths at one point, and I considered quitting on multiple occasions. But I persevered and kept at it. When I finally beat it, I experienced a mixture of unbelief, ecstatic joy, release of tension, and a sense of real accomplishment. I freaking earned that, I thought to myself. It felt really good. The experience of this game has really stuck with me, but in a slightly unexpected way. I find myself looking back fondly on both the highs and the lows I felt during my playthrough. I’m understanding more that you need one to experience the other - a lesson that rings true in much of life. Turns out that gaming is no exception. You can follow him @aFreudianTrip for additional musings about videogames and life.